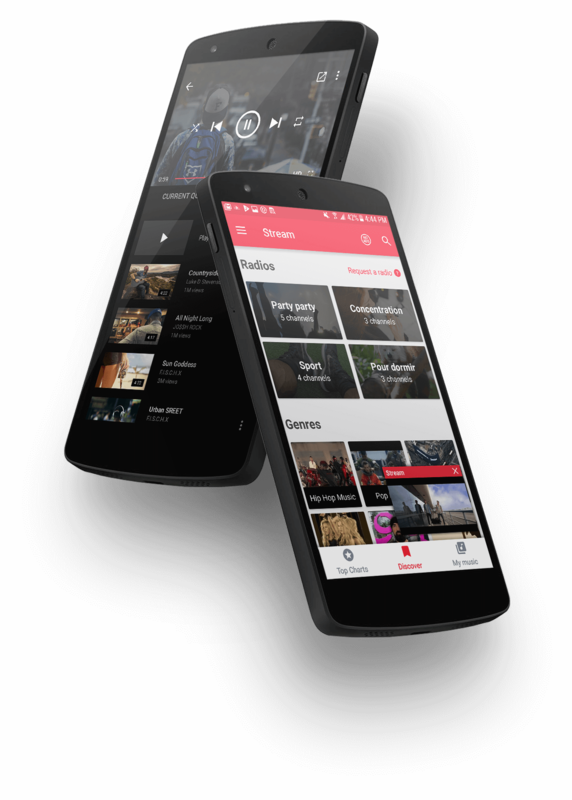 Stream gives you access to all of YouTube music videos : search your favorite artists, create your own playlists, discover new music genres and browse the daily Top Charts of your country! Popup player customizable that can be moved anywhere you want on the screen. No need to download your songs anymore, you finally have a free YouTube player that lets you check your newsfeed or answer your messages while watching your favorite videos!